This Item Ships FROM STOCK. 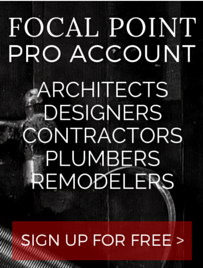 Focal Point is proud to bring you our custom door knocker. 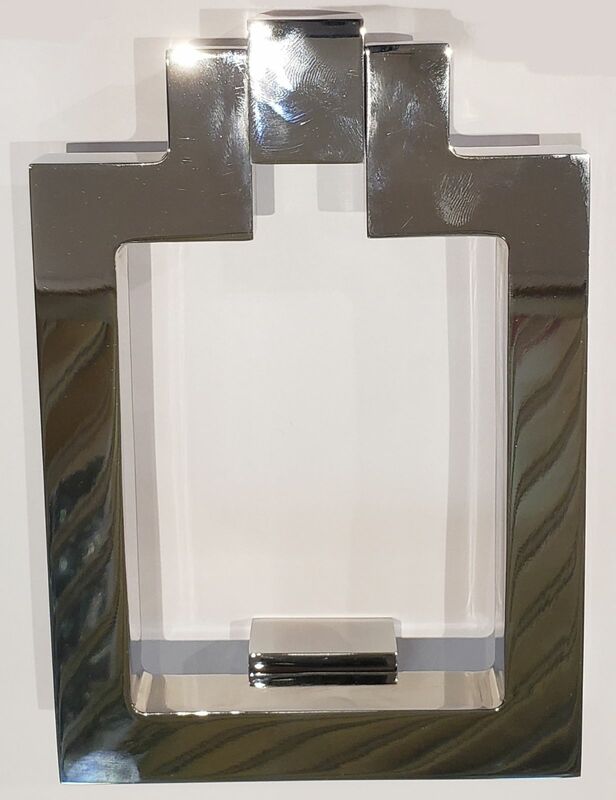 This unique hardware item will put the finishing touches on your modern or transitional door. Out of the box, you can feel the superior quality of this piece. Made of solid, chrome plated, brass this modern door knocker is heavy and will add a "wow factor" to your home's exterior. Hammer size: 1" x 1-1/2" x 3/4"
Focal Point carries a large range of door hardware. Some times what is listed in a manufacturer catalog is not enough, so we went ahead and designed and manufactured a custom door knocker. This modern door knocker is the perfect finishing touch to your luxury door. This knocker was designed by the Focal point design team. We only sell product that we would be proud to put in our own homes and this is no exception. Get yours today!